While the glory days of gold extraction are long gone, for most of its existence, Quesnel has actually survived on another one of nature’s bountiful resources: timber. In fact, according to Mayor Bob Simpson, the lumber industry has historically been responsible for 70 percent or more of the town’s tax base. “In the province of British Columbia, I’d argue that our community is the most dependent on forestry,” he states. But over the last several years, Quesnel’s ability to rely on exploiting that particular natural resource has been jeopardized, and Simpson says that unless the town was able to figure out a way to wean itself from wood and transform itself into a very different type of community, it would slowly die like many other primary-dependent communities have done in the past. Simpson recounts that he intuited the town’s potential demise years ago when he first suspected that the allowable timber cut that the government establishes annually, and which it regards as sustainable, “would come crashing down at some point, because the forests would not be able to sustain the levels of harvesting that we were living off of.” Then, in 2002, a catastrophic, natural event precipitated an even quicker downfall of the town’s forestry industry. The answer, according to the town’s leaders, was to reinvent the community in a way that allows it not merely to survive an onerous transition period, but to thrive through it and come out the other end as a transformed town with a new brand, a new way of doing municipal business, and a revitalized tax structure. “And in order to do that, we spent the last couple of years getting fiscal sustainability,” says Simpson. “Up until 2015, this community was carrying a $2.4 million infrastructure deficit for roads, sewers, sidewalks, water systems, etc. And we had an operating budget that was sucking up all of the available cash. So, over the last two years, we’ve reduced our operating budget by ten percent. We took $1.2 million out of our budget, with some nominal service cuts, and nominal restructuring of our workforce, and then raised taxes significantly on our residents for two purposes: one, to be self-financing on our infrastructure. Lots of municipalities depend upon federal and provincial infrastructure dollars, which are hit and miss and at the whim and fancy of those senior levels of government. By 2018, we will be able to self-finance our infrastructure into the future. Simpson answers his own query by stating that many things needed to happen simultaneously. “You have to work on multiple fronts,” he explains. “The first challenge that we were immediately presented with was on the healthcare side. As we were trying to work on our fiscal sustainability, nine doctors in our community gave indication they were going to be leaving town. Based on our demographics, our health authority believes we should have about 32 doctors; we were operating with 23 and we were going to lose nine. So, rather than doing what other communities have done, which was go to the press, wring their hands, blame the province, blame recruiting, blame the health authority, etc., we mapped the system that was causing us to have problems recruiting and retaining doctors, and, with the health authority in a very proactive relationship, changed the whole model of primary care delivery in a rural community. Rather than going public, we worked behind the scenes to reconfigure the whole model. “We unburdened the doctors for emergency coverage and hospital rounds; we addressed issues around anesthesiology and specialist needs; we addressed issues concerning salary positions versus setting up a private practice. As a result of that, and as a result of the city providing some incentives, the hospital district giving us money to have a full-time recruiter, and one of our local auto dealers giving us access to a vehicle for doctors, we recruited 15 doctors on the primary care side; we recruited more specialists, including a surgeon; we’ve reconstructed how we deliver emergency care; and we have a brand new primary care clinic that has state-of-the art telemedicine capacity, wound management, and various other things that unburdened our emergency services. Telling the story about Quesnel’s successes is part of the town’s brand re-invention, and one of the responsibilities of Amy Reid, Quesnel’s Economic Development Officer. “We go out once a year and talk to our business community” she says. 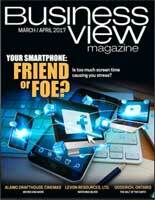 “Last year, the number one thing we heard from businesses is that they wanted to see better marketing of our community. Our ‘Gold Pan City’ brand didn’t resonate to anybody. And although forestry will always be a part of who we are, it shouldn’t define us, either. 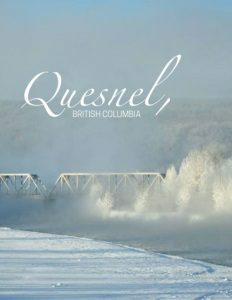 We want to be described as a community that is sustainable, accessible, trail-blazing, and fun.” Thus, after much community input, it was decided that the town’s new brand tagline would be: Quesnel – It’s in Our Nature. One item on the town’s agenda to get visitors to stop and linger is to reconfigure some downtown parking areas to accommodate the larger, recreational vehicles that tend to ply Highway 97 that runs through town. “In our downtown area, we have no capacity for RVs to stop,” Simpson laments. “So, they’re really forced to drive through.” Another plan is to open the city’s riverfront to recreation, commerce, and culture. “We’re a river city, yet we have no capacity to get people down to the rivers to have a meal, or park an RV, or whatever the case would be,” he continues. “And yet all that land that would be available is all city land – we own that property. So, how do we develop our riverfront property in a way that people would want to stop here?” One possible solution the town is working on partners it with one of its Aboriginal communities, the Lhtako Dene Nation, to see if, together, they can locate an Aboriginal cultural center at the confluence of the Fraser and Quesnel Rivers. Once a gold rush town, then one that thrived on forestry, Quesnel is in the midst of re-inventing itself yet again. 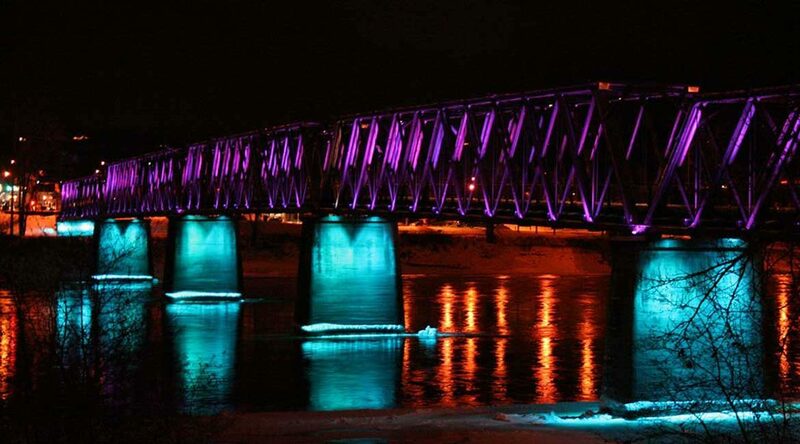 But its people are resilient, its leaders are committed to the future, and they all intend to see Quesnel continue to thrive by capitalizing on the town’s environmental and manmade assets. After all – it’s in their nature.